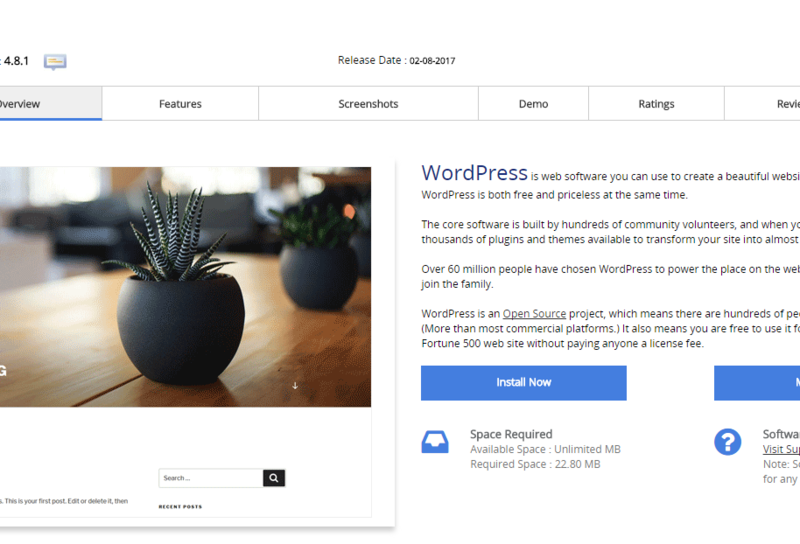 So you have got your Web Hosting account setup, and now you want to install WordPress right? But the manual way is a pain and you just want to click away and install it with no hassle! Once you have logged into your cPanel, scroll to the bottom of the page and you should see the below image showing Softaculous Apps Installer with WordPress listed as a sub option. Click on the WordPress icon and lets go to the next step. Once you click on the WordPress Icon you should get this page below. Go ahead and click on the Install Now icon to bring up the next stage of the install. 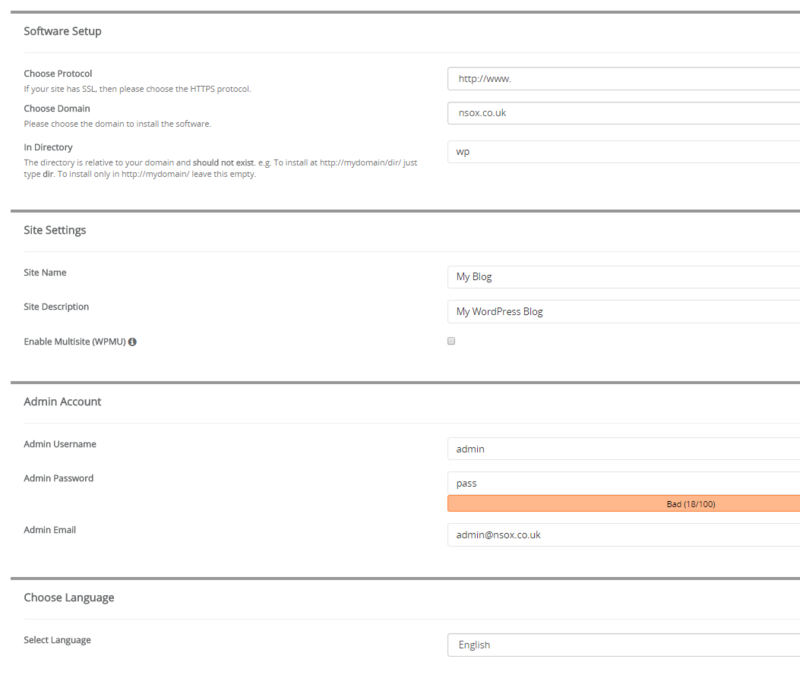 Most of these options are fairly self explanatory, if you wanted your WordPress installed in a sub directory you would name the folder you want it in e.g ‘blog’ in the ‘In Directory’ section – If you want your site to load WordPress as default then leave that field blank. And we have the final section below. 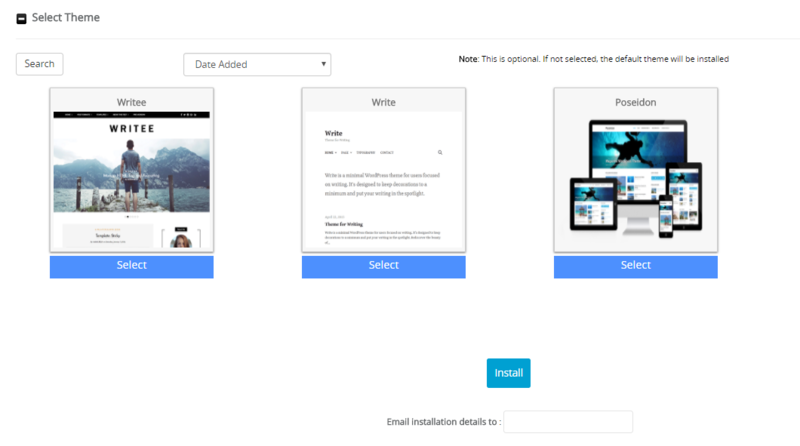 For the final steps you can choose a theme to download and install from the list or leave WordPress to install the default theme, you can also choose to email the installation details just to be safe. Go ahead and click install! That is it, WordPress should now be installed! You may go ahead and login to your wp-admin and get started! How easy was that! ? This entry was posted in cPanel, Getting Started and tagged install wordpress cpanelw, wordpress softaculous cpanel.